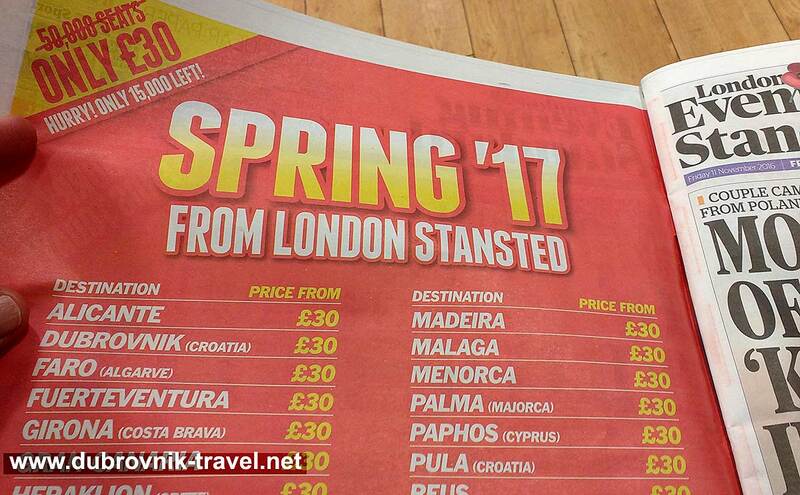 From Spring 2017, Jet2.com is introducing cheap flights to Dubrovnik from London Stansted airport. Twice a week flights start from 29th of April and end on 28th October. The fares are from £30 one way. Jet2.com also flies to Dubrovnik from other airports including Belfast, Edinburgh, Glasgow, Leeds, Manchester and Newcastle.